The Dignity for All campaign has drafted a letter to be sent to Minister Jean-Yves Duclos, the Member of Parliament responsible for Canada’s poverty reduction strategy, with recommendations to strengthen Bill C-87, An Act respecting the reduction of poverty. Along with partners, we are calling on the government to align Canada with our obligations under international human rights law to ensure we meet the first Sustainable Development Goal (SDG): to end poverty by 2030. 537 individuals and organizations have signed our open letter! Establish regulations to Bill C-87, which articulate that the goal to reduce poverty by 50% of 2015 MBM levels by 2030 is a minimum target. Regulations must reflect that the obligation under the Sustainable Development Goals is to end poverty in Canada. Establish measures to ensure Canada’s official poverty line genuinely reflects the experience of poverty in Canada, particularly those in marginalized groups who are more likely to experience poverty. Ensure that the National Advisory Council on Poverty can adequately implement accountability of government for those living in poverty for the progressive realization of the right to an adequate standard of living and social security rights, as guaranteed by articles 2(1), 9 and 11 of the ICESCR. In addition to this legislation, co-develop initiatives to ensure accountability and implementation of remedies for the distinctive barriers faced by First Nations, Métis, and Inuit persons living in poverty. ***The letter was updated from the original version on Feb 1, 2019 at 10:15 a.m. Previous Post Help Shape Canada’s Official Poverty Line! We need to end poverty, not just reduce it. 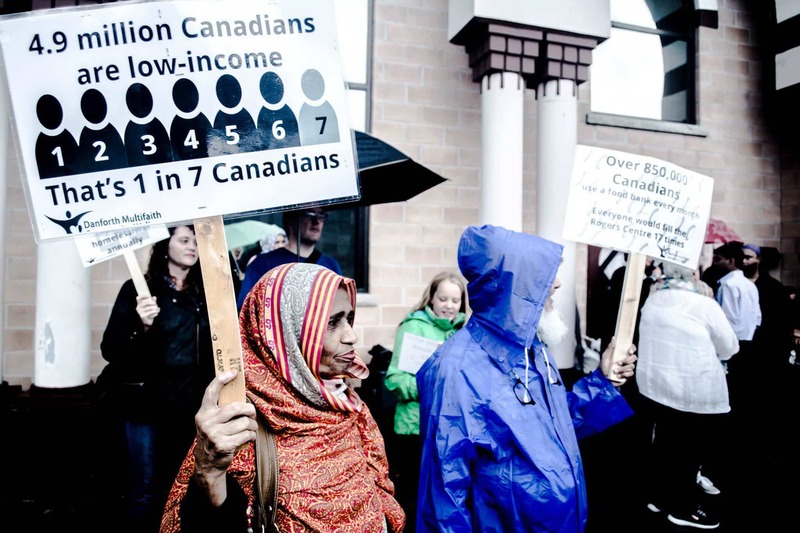 I am very disappointed with Bill C-87 and its lack of commitment to ending poverty in Canada. It has to be amended to commit Canada to commit ending poverty by 20 30 and assure those currently suffering poverty of their economic and political rights. Canada has to do thin gs right this time. The very people that put the gov’t in to place should not be living in poverty in this country. It is totally unacceptable and it is becoming more obvious that the gov’t is more concerned for their own pocket books,, giving themselves raises, and not needing to pay for anything. It is shameful,,, and I for one am disgusted with our gov’t & our leaders. We are a rich country and need to look after our own. Our country should not have impoverished and homeless people,,, we should not have to struggle between housing and food, especially for the single parents of our country. Our government is lying to it’s citizens. If it cared at all about what is right, it would not be bullying the pipeline through territory it no longer owns. We have 70, 000 homeless people in Toronto, ON. Visible to all, yet invisible to our government. We have places STILL in our rich land where water is not drinkable, nor swimmable. We have corporations dumping toxins into our lakes and streams. We have children as young as 5, so hopeless they take their own lives. Our country could be the greatest, but it is so busy trying to be America, it has forgotten the heart with which it was founded….. I totally agree with the above comments made. We have to depend on the voices of Ontarians to really make changes in our government and force them to listen and pay attention to what is happening out there. Many people are suffering and have little or no help. We can’t help everyone but little by little we can make a difference. I’m gravely concerned for the severely disabled in this country who have no other means of support but government plans. Being disabled often means a loss of independence and being consigned to living a life of poverty and existing within a subculture. Many have no hope of escaping or living a life with dignity in a safe environment. This is hardly a legacy worthy of this great country. We can and should end poverty including for aboriginals in a rich country like Canada once & for all if the leaders of this country were serious and put their mind to it. I am signing because abject poverty is becoming endemic, in Canada of all places. Every grocery store even in small cities like St. Catharines and so many off-ramps on highways now have “resident” beggars. And with the likes of Doug Ford, I understand, the problem is destined to get worse. Ontarians never learn – Mike Harris, Stephen Harper and, now, this guy.